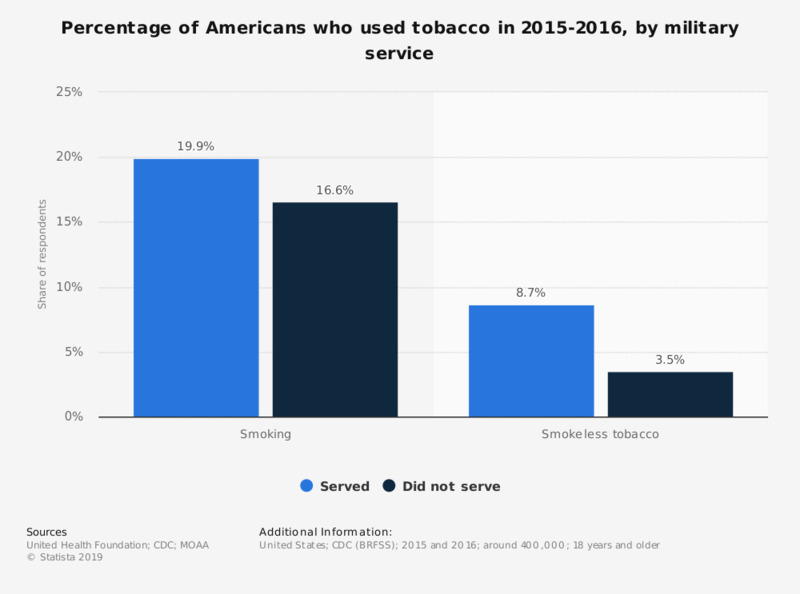 This statistic shows the percentage of those who have served/not served in the U.S. military who used tobacco, in 2015-2016. It was found that those who had served in the U.S. military were more likely to smoke cigarettes than those who had not served. Figures represent self-reported smokers (smoked at least 100 cigarettes in their lifetime and currently smoke). In the last 12 months, have you seen advertisements or promotions for tobacco products? Have you ever tried oral tobacco (snus), chewing or nasal tobacco (snuff)? Would you be in favor of or opposed to increasing taxes on tobacco products? New Zealand: What brand of cigarettes do you smoke?